SQL Server keeps track of all database modifications and every database transaction. This is done in a file called the transaction log or TLOG. This transaction log is particular to a SQL Server database and there is, at least, one transaction log per SQL Server database. As explained on MSDN, the transaction log is a critical component of the database and, if there is a system failure, the transaction log might be required to bring your database back to a consistent state. The transaction log should never be deleted or moved unless you fully understand the ramifications of doing this. You may see it more commonly referenced as Database Instance File Initialization (DIFI). If you are not familiar with the file initialization, this is the process SQL Server has to go through when it is creating the data files for a given database, and also during an expansion event (either manually or from auto growth) for a database. It only pertains to the data file(s) of the database, as log files are not affected by this security policy. SQL Server will “zero out” the file, basically fill it up with a bunch of zeros to allocate the amount of space requested. If you are a new DBA, this configuration actually goes all the way back to SQL Server 2005. In today’s world of DevOps and ALM practices, there is often a strong emphasis on the visibility and traceability of the work we perform towards software development. This means that as developers, we often have to account (to clients, business owners, project teams etc.) for a list of development tasks that will be undertaken to deliver a given project requirement or user story. Amidst several tools that can be used to facilitate such a practice, Team Foundation Server (TFS) is one such tool that can be used by developers to keep track of their work items. Microsoft Baseline Security Analyzer is one of the tools provided by Microsoft to help administrators to scan systems (local and remote) for missing security updates and common security misconfigurations. It can scan the server operating system and SQL Server but also other products as well, such as Microsoft web server IIS. This article is intended for application developers and database administrators who plan to develop, deploy, and/or assess solutions for Microsoft SQL Server on a Microsoft Windows platform. In the world of SSIS development architecture, preference should be given to extracting data from flat files instead of non-Microsoft relational databases. This is because you often don’t have to worry about driver support and compatibility issues in your SSIS development/server machine that is often attributed to non-Microsoft database vendors. In fact, I’ve been in several situations whereby we cannot upgrade to another version of SSIS (i.e. BIDS to SSDT) due to the lack of external vendor driver compatibility issues in the newer versions of SSIS. Sometimes we lose data by mistake and we want to compare the data with older backups and synchronize the data. There are several ways to do this. For example, you can create T-SQL scripts with some outer joins. Another option is to use the tablediff command line. The need to search through database schema for specific words or phrases is commonplace for any DBA. The ability to do so quickly, accurately, and completely is critical when developing new features, modifying existing code, or cleaning up the vestiges from an application’s ancient history. In previous chapters, we taught how to create SQL Databases in Azure. 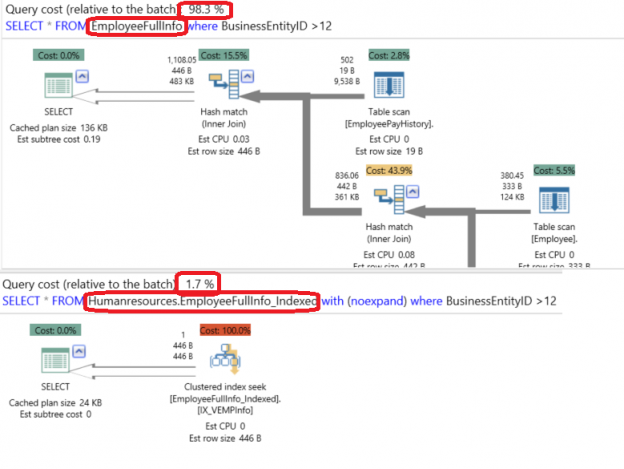 In this new chapter, we will show you the new SQL Data Warehouse Service in Azure. As a part of a Big Data project, we are often asked to find the best way to track the changes applied to the database tables, so that, no requirement is created to load all the huge tables to the data warehouse database at the end of the day, if not all of the data was changed. SQL Server on Azure VM. In this chapter, we will talk about the advantages and disadvantages of each option. Securing and encrypting sensitive data stored in your production databases is a big concern, especially the databases storing the organization’s financial data and customers’ confidential information. SQL Server offers multiple encryption methods in the cell, table and database levels. And in this article, we are interested in a SQL Server database encryption method, introduced in SQL Server 2008, called Transparent Data Encryption (TDE). SQL Server TDE provides encryption on the database file level; it encrypts the database (.MDF), (.LDF), (.NDF), (.BAK), (.DIF), (.TRN) and snapshot files. The main purpose of this article is showing how we could setup a mirroring site for a database encrypted using SQL Server Transparent Data Encryption. But before starting the demonstration, it is better to introduce TDE first. In my previous article, we went over the basics of Mercurial, as well as some arguments why using it is critical for database administrators. Among many reasons, it allows us to easily track history and changes to our scripts, which in turn makes it easier for us to experiment and enhance our toolkit, since we can do so safely without fear of permanently causing damage. In this installment, we are going to go into more depth on the specifics of two feature of Mercurial that, once harnessed, can add significant efficiency to our coding workflows. When we talk about memory usage in SQL Server, we are often referring to the buffer cache. This is an important part of SQL Server’s architecture, and is responsible for the ability to query frequently accessed data extremely fast. Knowing how the buffer cache works will allow us to properly allocate memory in SQL Server, gauge accurately how databases are accessing data, and ensure that there are not inefficiencies in our code that cause excessive data to be cached.